Mediocre Musician: How to cheat at playing the guitar! Is there a dusty guitar in your closet which you never learned how to play? Or have you tried to learn, but then quit because it was too hard? Well, this little trick makes for an easy way to get a little bit of music out of that guitar! It won't turn you into the next Eric Clapton, but it is just enough to have fun or even impress your friends! Instead of standard tuning, we're going borrow a page out of Hawaiian slack-key, and use "taro patch" tuning (also known as "open G"). 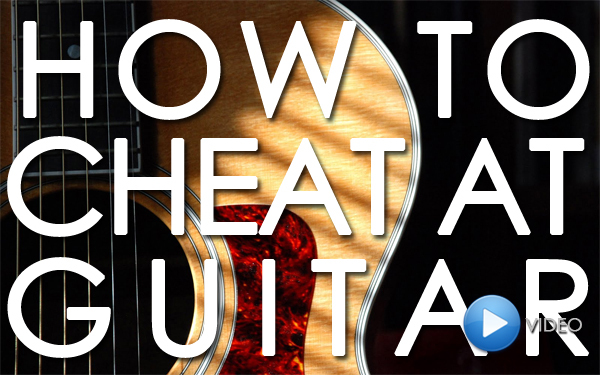 With taro patch tuning, your guitar plays a perfect G chord without even pressing any strings with your left hand. 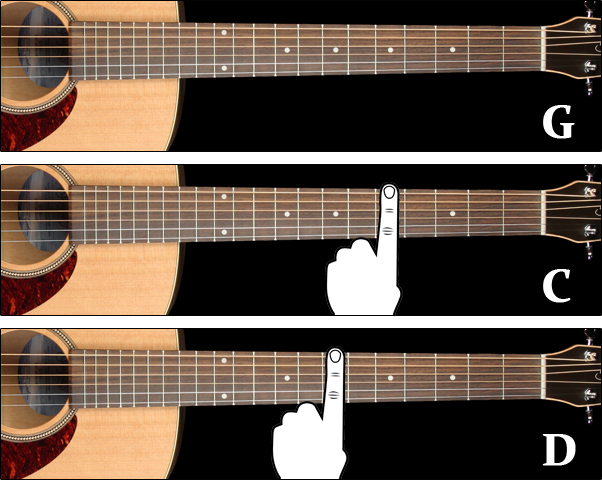 If all the strings make a chord when open, then they also all make a chord when pressed together in the same fret. 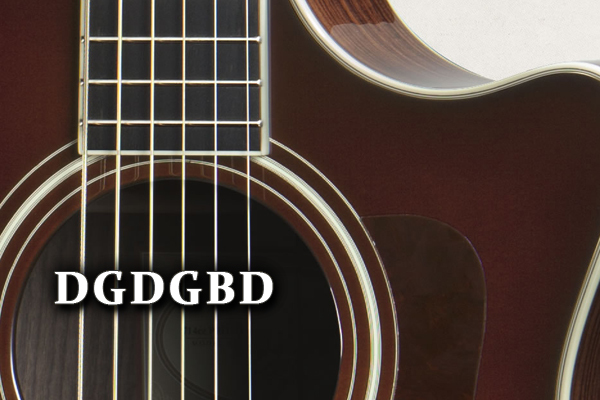 To compliment our open G chord, try barring the 5th fret (which makes a C chord) or barring the 7th fret (which makes a D chord). A simple song would be something like: open, bar the 5th, open, bar the 7th, then repeat. You can add a little ending with: bar the 7th, bar the 5th, open. Be sure to watch the video to hear how it sounds.